The National Association of Democratic Lawyers (NADL) has advised Walter Onnoghen, former chief justice of Nigeria (CJN), to resign. In a statement on Thursday, Jiti Ogunye, chairman, board of governors of NADL, asked the ex-CJN to take the action in the interest of the judiciary. Ogunye said though the group has not deemed him guilty of the corruption allegations levelled against him, Onnoghen should also consider plea bargain. 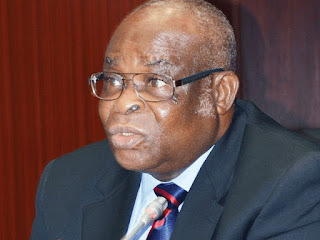 “In the prevailing situation, the NADL calls on CJN Onnoghen to seriously consider a resignation from office in the interest of the Nigerian judiciary,” the statement read. “While doing so, he may wish to explore the plea bargaining provisions under Section 270 of the Administration of Criminal Justice Act and other similar provisions that may enable him wrap up his planned prosecution and earn himself a dignified and orderly exit from his current travails. It is any agreement in a criminal case between the prosecutor and defendant whereby the defendant agrees to plead guilty or nolo contendere to a particular charge in return for some concession from the prosecutor. Ogunye also asked the federal government and Onnoghen to shun abuse of court processes and powers in prosecuting and defending the charges at the CCT. The group condemned the “hasty disposition” of Ibrahim Muhammad, acting CJN, in accepting to be appointed and sworn in, adding that the judge had made a grave error of judgment. 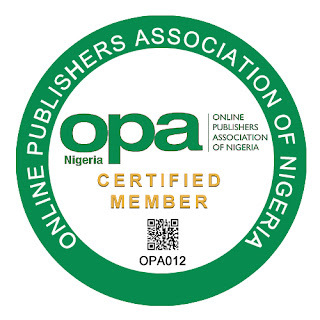 “Since the charges nevertheless had been filed, the NADL expected both the Federal Government of Nigeria (the Executive Branch of Government of the Federation) and Hon. Justice W.S.N Onnoghen to shun abuse of court processes and abuse of powers in prosecuting and defending the charges at the CCT, the judgment of which is appealable to the Court of Appeal,” the statement read. “Thus, the desperate resort to the National Industrial Court and the Federal High Court by the CJN, his allies and lawyers to obtain ex-parte orders of injunction, which were procured and granted with astounding and unusual alacrity to gag the CCT, so as to prevent the arraignment and trial of CJN Onnoghen, is condemnable. It is an abuse of court process. The NADL hopes that at the appropriate time, the NJC shall revisit the actions of the Judges who granted these orders.